“Homes as Power Stations” is being led by Neath Port Talbot Council and is one of the biggest Swansea Bay City Deal projects which could kick start a construction programme with a projected investment of over £500m when the concept is operational across the region. A site in Neath has been chosen to demonstrate this innovative housing project; a concept where buildings can generate, store and release their own energy; helping to reduce fuel poverty and its impact on health and wellbeing. 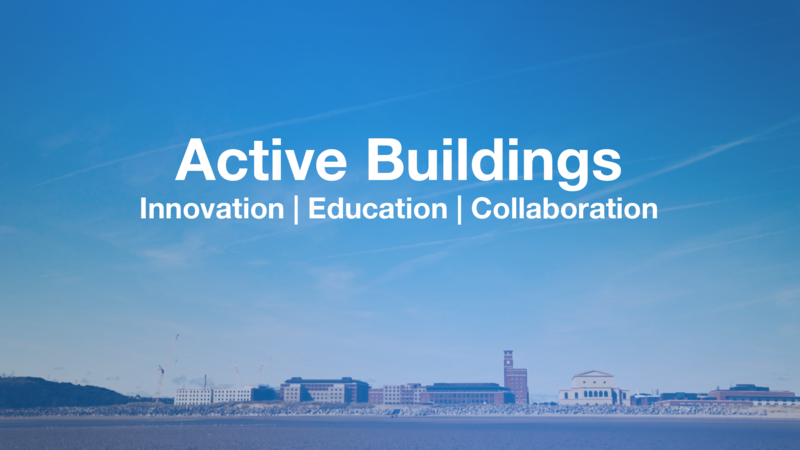 The aim is to eventually roll out the concept across the Swansea Bay City Region area to both new housing projects and retrofitting existing homes. If approved, work on the pilot development is expected to start at the end of 2017/early 2018. 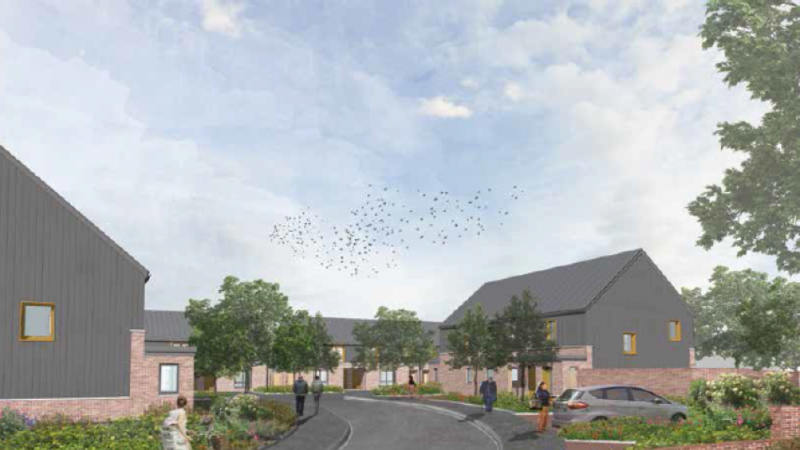 The proposed development will provide 16 new homes on the site of the former Hafod Care Home, Neath, with easy access to shops and local amenities. There will be eight 2 and 3 bedroom homes and eight 1 bedroom apartments. Designed to be an exemplar low cost energy positive pilot project, the aim is to show how applying innovative technology including integrated renewable technologies and energy efficient materials to the design, building and operating of such homes can reduce energy consumption and provide a healthier home environment for people. The application has been made by the Council’s partners Pobl Group supported by SPECIFIC who developed the innovative technology here in Neath Port Talbot, putting Wales at the forefront of global renewable energy technology. Based on Baglan Energy Park, SPECIFIC is a national Innovation and Knowledge Centre led by Swansea University with partners from academia, industry and government. SPECIFIC aims to develop functional coated materials that will transform the outer skin of buildings into surfaces that generate, store and release energy. By turning buildings into power stations these new products will revolutionise the construction sector – delivering considerable renewable energy and a reduction in carbon dioxide emission plus jobs in high-value manufacturing. “Pobl is very pleased and excited to be working on this innovative housing project in Neath. The project would enable us for the first time to demonstrate the benefits that the latest technologies can bring to affordable housing developments, and to drastically reduce fuel poverty and carbon emissions. “We are aiming to achieve homes that feel homely and pleasant to live in, but that also generate most of their energy needs from the roof and wall coverings; thus dramatically reducing the bills for our tenants. The latest solar power technologies will be seamlessly integrated into the external walls and roofs of the homes, along with the latest battery technologies for storing electricity. Much of our design work is being informed by our partnership with SPECIFIC, based in nearby Baglan, who have considerable expertise in the latest building technologies. “One of the key drivers for the Swansea Bay City Deal and Valley Taskforce is to establish our region as a pioneer and leader in energy, health, manufacturing and creative technologies “The “Homes as Power Stations” concept has the potential to make a huge contribution to addressing energy efficiency and fuel poverty, and in turn improve the wellbeing of the people in our communities. “We also want to see the benefits of what is developed locally exploited locally and this project in particular would not only safeguard and create thousands of jobs in our construction industry, but develop a highly technologically advanced and skilled large-scale supply chain.